You missed out on some big news in the world of local if you weren’t paying attention to the announcements made recently at Google’s I/O conference. If you didn’t get a chance to watch the whole thing, we've got you covered. Google pulled back the curtain on a slew of updates and features focused on personalization and streamlining. Among announcements around Android and AI, there were some significant updates affecting the local landscape. So what effects can you expect on your local marketing efforts? Right now? Not that much. In the future? Potentially a whole lot. The discovery tab has been on Google Maps for a while, but it never seemed to get the engagement that Google wanted. This redesign grows the real estate for events and dramatically improves the social proof elements. It also brings curated lists of locations created by influencers, machine learning, and aggregated user trends. Reviews are likely to be a major ranking signal here, so maintaining your Google reviews will pay dividends. It's possible that the future could bring pay-to-play elements on this tab, but Google will likely focus first on consumer adoption, which would suffer from any impression that discoveries are ad-driven. Alongside the browsing interface of the updated discovery tab is the new “For you” tab. This section works as a recommendation engine for local events and places. Google will automatically populate this tab, and although there are no specifics on how I’d bet that it will rely on Google’s user data combined with a dash of machine learning. From an initial set of recommendations, users will be able to “follow” items to get updates and see similar events and places. From what I've seen so far, they’ll also be surfacing categories like recently opened and currently trending. 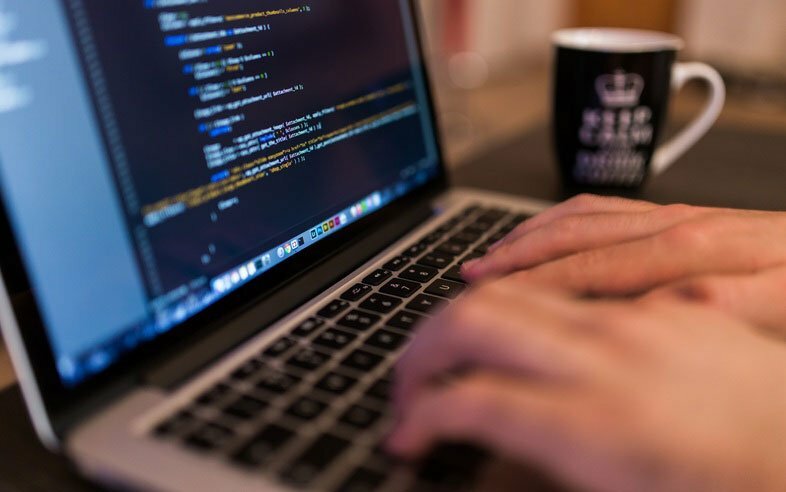 It’s too early to tell how businesses can best position themselves to be in these areas, but recent updates to the GMB API suggest at least one route to being listed as recently opened. A new metric that Google will be providing users is a “match” rating. For now only available to food and drink establishments, this will be a percentage that represents how likely the user is to enjoy that location. This seems to resemble Netflix's recommendation engine. Google will provide a short list of reasons behind the score when clicked. These seem to be powered by the indicators you’d expect, places you've visited, reviewed, or otherwise engaged. It’ll be interesting to see if Google will provide businesses with any reporting around this metric. Everyone’s had that experience of trying to agree on a place to eat as a group. Google’s attempt to solve for that often frustrating process is to allow users to use a long press in the Maps app to add locations to a list. Friends can vote on this shareable list as a sort of foodie battle royale. The small amount of information that’s prominent here means you would do well to focus on fresh, appealing, and engaging imagery to win those votes. Making sure your Google reviews are in order is also never bad advice and bears repeating. 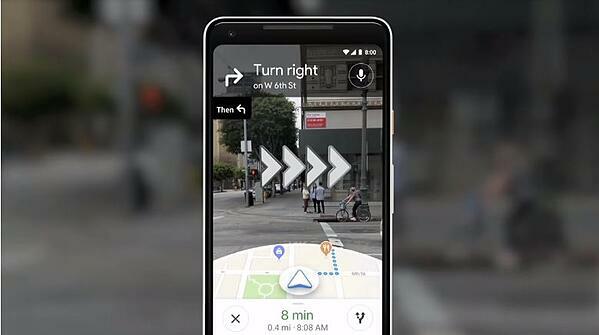 One of the biggest crowd reactions was the announcement of augmented reality walking directions. Solving the problem of orienting yourself when comparing Google Maps to your immediate surroundings, this update overlays helpful arrows on the real world through your phone’s camera. Now imagine what happens when a user follows this AR treasure map to your store only to wind up at the wrong place. That excitement turns to annoyance. Now might be a good time to make sure that all your locations are in exactly the right spot on Google. You should provide coordinates that are accurate down to rooftop level. If not, you might be setting yourself up for some rough user experiences. There was significant buzz around the Google Assistant-powered calling demoed during the keynote. I thought the most interesting example of this technology was the automated call to a store to ask about hours of operation on a holiday, then instantly updating the business’ listing. This is supposed to start rolling out over the coming weeks as an experiment. It’s not clear yet if this will interfere with special hours supplied by a brand, or whether it will fill in gaps where holiday hours aren't provided. 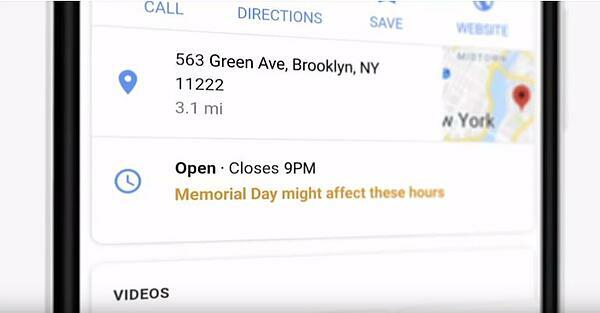 My guess is that if a brand has added special hours, that Google will probably skip the automatic calling. Either way, you should be supplying hours for major holidays, so that customers can see if you will be open well in advance. While Google presented a huge assortment of announcements this year, this list represents the most relevant updates for us local oriented folks. 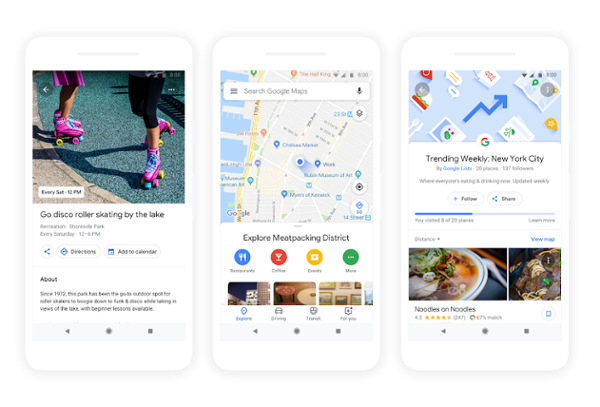 There’s a focus on making the maps experience more personalized through the new “For you” tab and the introduction of custom-tailored recommendation scores. Don’t forget about the injection of social experiences with the refresh of the discovery features pushing consumers out into the community and collectively deciding where to eat with your friends. Meanwhile, AI-powered calling and AR walking directions are extensions of broader trends that we see from Google, and it’s no surprise to see them appear in maps. All of these updates represent a significant injection of new ideas into the local space. Contact us to request a demo or learn more how Brandify can help your brand to improve your online presence.